Over the last couple years, while in the creative industry, we have loved to be a part of loads of events and party's for all sorts of companies, organizations and campaigns. But through everything, we have felt something lacking in all of the celebrating. We didn’t see an event that didn't just celebrate the success of women but also just... loved women for being… them; without asking anything in return. An event that brought our community together and cheered one another on for being badasses - no time limits, no competition, no requirements. Babes Brunch is a very special, non-profit event held for all creative women who crave a little time dedicated solely to themselves. 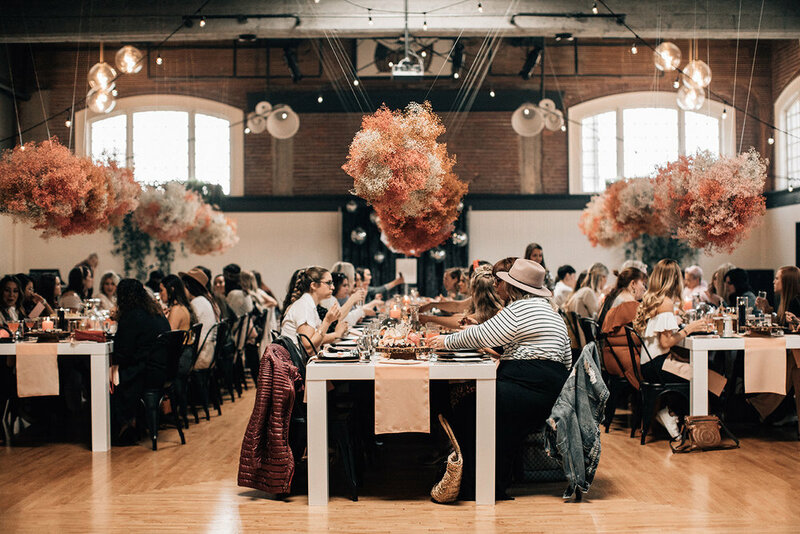 Babes Brunch is a very special, non-profit event held for all creative women who crave a little time dedicated solely to themselves. We create a beautifully designed space and a welcoming community that focuses on celebrating and loving the women that work so hard and give so much of their time to their jobs, family and friends. We want to ENCOURAGE each other to be exactly who we were meant to be - from business women, to moms, to daughters, to friends to wives. We all wear so many masks and Babes Brunch is a couple of hours for us to strip away all the exteriors and just get to love each other for being ...us. we are now coming to a city near you! All of our vendors are incredible and hand picked by our team. Everyone donates and volunteers as much as possible to keep costs down for you! Your ticket cost is only ever enough to cover time and materials for all vendors plus enough food and rosé to keep the party goin! Want to be a part of our next Babes Brunch by donating your time, services or product?